Why is Power Factor So Important In Electrical Power System ? Considering an inductive load, the power factor will be lagging due to which the current is lagging behind the voltage. While in capacitive load the angle goes opposite, the applied current angle is now leading before the voltage and consider as leading power factor. The power factor plays an important role in ac circuits depending upon the load. As we know that lower the power factor, higher is the load current and vice-versa. *Lagging power factor has some disadvantages like large KVA rating because the KVA is inversely proportional to the power factor. Similarly in lagging power factor the transmission lines must have greater conductor size due to which at low power factor the conductor carries a large amount of current. causes more IR2 losses. This results in poor efficiency. The large current at low power factor causes greater voltage losses in alternator and transmission lines and with this effect, the system might reduce loading handling capacity as well. Low power factor is undesirable from the economic point of view. Most of the AC motors (single phase and three phase) are induction motors which work at extremely low power factor (0.2 to 0.3). Industrial furnaces, arc lamps, electric discharge lamps etc operate at low power factor. The low power factor is mainly due to the inductive loads. 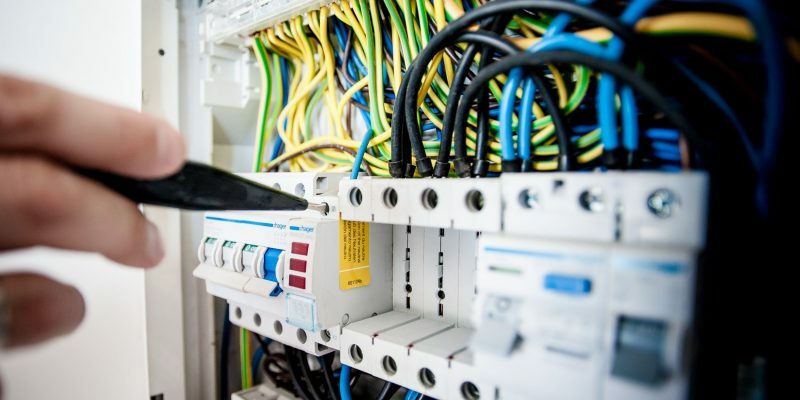 In order to overcome this situation, we must connect a capacitor in parallel with the loads which can somehow stabilize the power factor. Power factor improvement can be achieved by using the following types of equipment. The power factor can be improved by connecting a capacitor in parallel with the inductive load. As we know that capacitor draws a leading current which can neutralize the lagging power factor produced by the inductive loads. For three phase loads, the capacitors can be connected in star or delta. Synchronous motors take the leading current when they are over excited and therefore they behave like capacitors. So an overexcited synchronous motors running at no load is called synchronous condenser. When such machines are connected in parallel with the supply, it takes the leading current which partially neutralizes or tend to minimize the low power factor. Hence the power factor is improved. Phase advancer is also a power factor improvement device. As we know that the low power factor is due to induction motor’s stator, because it draws very high current which lags behind the supply voltage by 900. 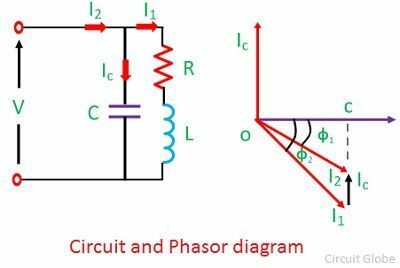 Phase advancer in real is an external ac excitation for the motor which relieves the stator winding of exciting current and the power factor can be improved.